A while back one of my regular readers left a comment on Facebook she was looking for ideas to re-decorate her sun room, I haven't covered the subject of sun rooms or conservatories previously so I thought I would write a short post on decorating hints and of course some lovely images to inspire. 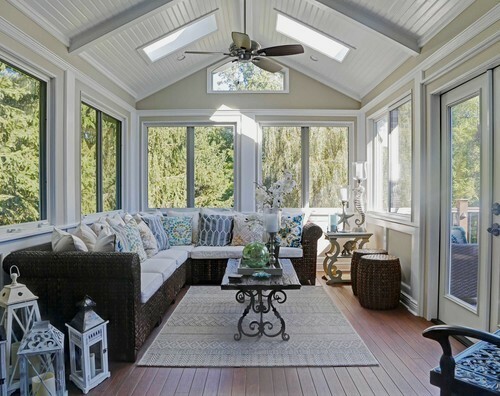 When it comes to furnishing a sun room or conservatory there are certain aspects to consider, so let's cover these briefly to help you create the perfect space whether it be solely a sun room or a sun room with a multi-purpose use such as the dining spaces in the images above and below. 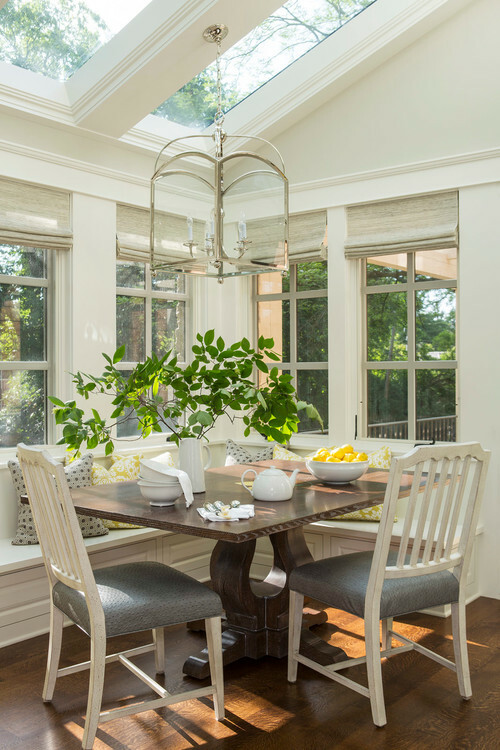 Think about how you want to use this space, do you want to curl up on a comfy chair with a good book, or could it double as dining room if you are short of space elsewhere (images above). If you are using it as a place to relax then you may want to add a coffee table or side tables (room permitting). If it is more a conservatory than sun room and has great indoor/outdoor flow, you could introduce a large indoor plant. When thinking about how you want to use this space, make sure the furniture and decor will work with the style of the rest of your home. Above: A small conservatory perfectly decorated, a place to relax and enjoy a view of the garden. Cushions and a throw complete this space. 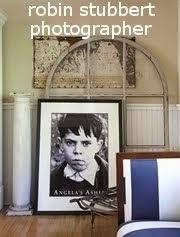 Photograph from Rise Art. 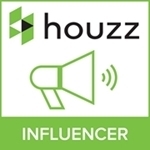 The style of your space can be whatever you wish, whether it be French, Hamptons, coastal or traditional, make sure however that the style suits the adjacent rooms in your house allowing your decor to flow from one room to another. A French influenced design such as below would not work if the rest of your decor is Hamptons or contemporary. 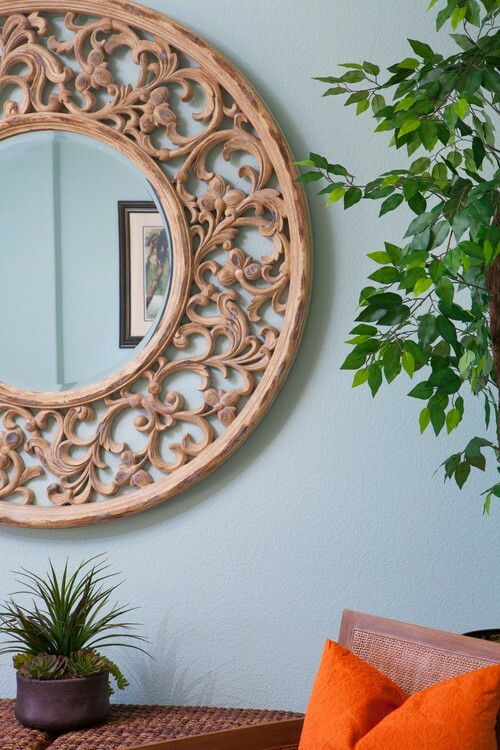 If you like to mix a few styles, this can work well if the rest of your home is the same eclectic balance. 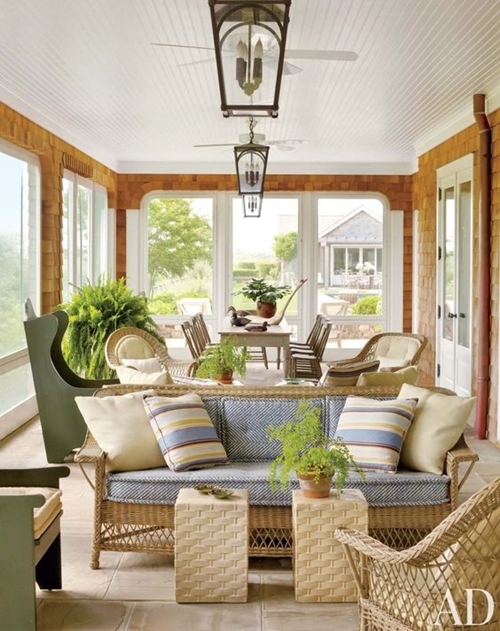 Above: Open shutter's filter light into this gorgeous Farmhouse sun porch. 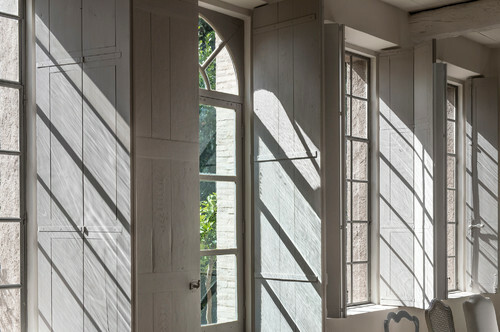 La Maison Charrier is beautifully photographed by Bernard Touillon. 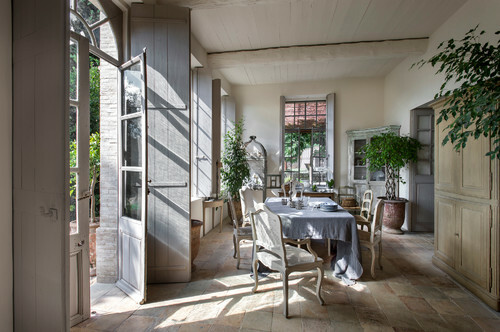 You might want to hop over and view the rest of this gorgeous French Farmhouse....here. 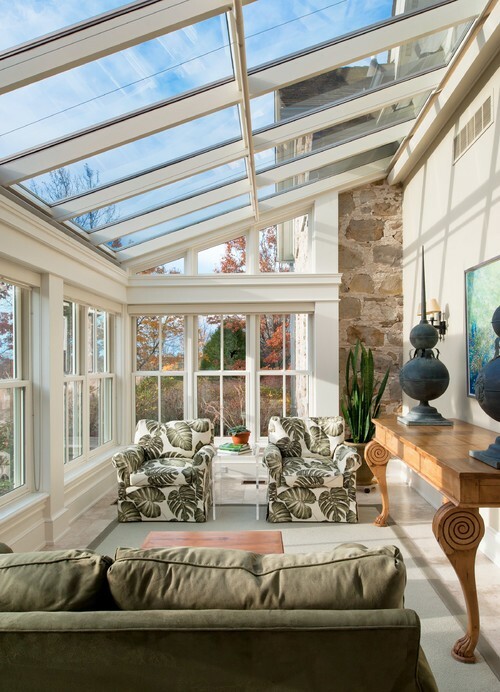 When decorating a sun room, think "sun", a sun room or conservatory will have far more glass, meaning more sunlight which in turn means more fading to natural materials such as linen and cotton especially in the Southern Hemisphere. 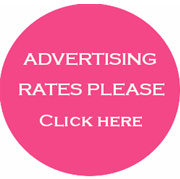 When you think about fabric choices for cushions or furniture think linen/polyester blends rather than pure linen. The same goes for cotton as bright, cotton is notorious for fading in sunlight. Think "fade resistant" fabrics and check fabric labels for suitability. 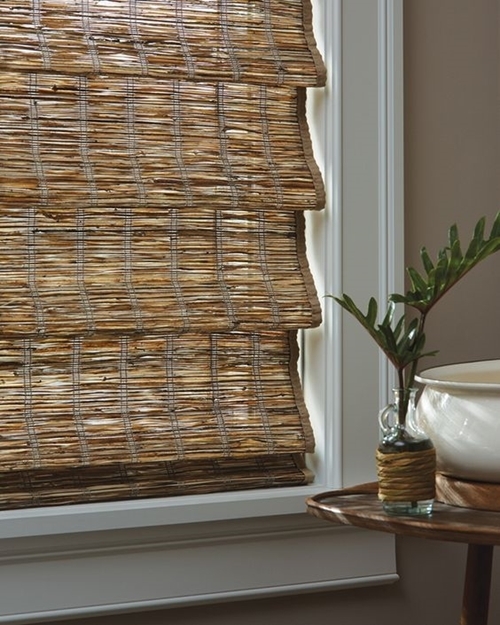 With regards to window treatments, rattan blinds work well and shutters that slide or bi-fold back look fabulous. 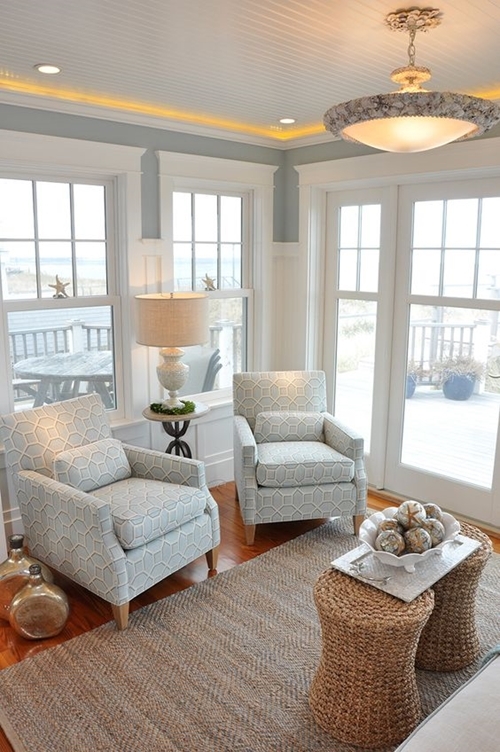 If you need a window treatment that requires fabrics, think 'fade resistant'. Roman blinds in linen or cotton will eventually have fade lines along the folds but there are some great linen look polyester materials that don't fade as easily. Alternatively, sunbrella fabrics have a fabulous range of fabric designs for indoor or out. 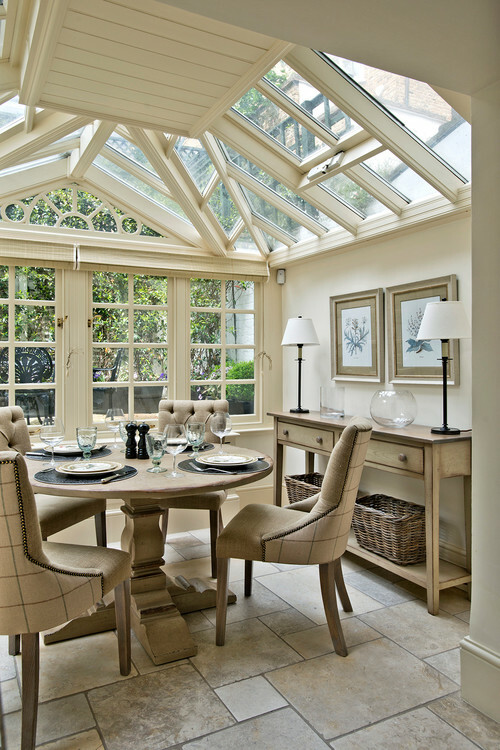 A conservatory is bound to have plenty of natural day light, however you will still need artificial lighting for evenings. Make sure you lights suit the style of the room. If you like industrial style, you may want to look at lighting with a mix of iron/metal and glass, a traditional glass or iron chandelier is perfect in a French or traditional style room and it will add elegance. Normally sun rooms are not used at night so the amount of light is not so important. If you want to use a corner of the room for reading then a free standing lamp could be an option. If on the other hand you plan to use this area as a dining room, you will need to consider lighting over your dining table and a chandelier might be just the trick. 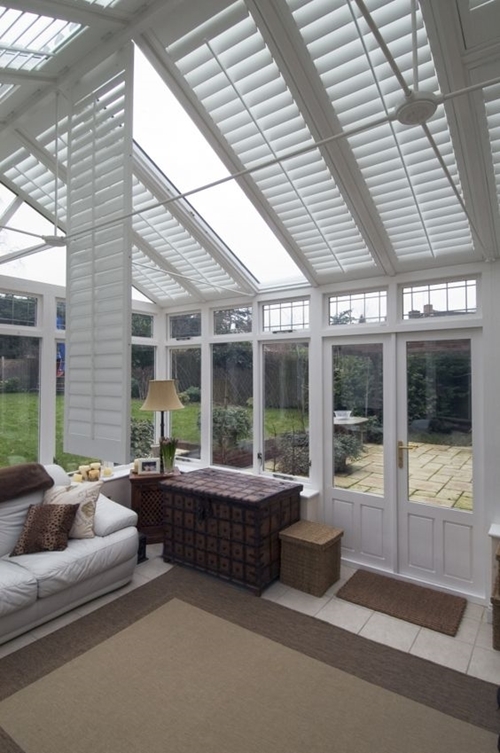 Ceramic, stone or wood are all good choices for a sun room or conservatory floor. Tiles can be cold in the winter so if you don't have central heating you may want to install underfloor heating before the tiles are laid. Tiles are easy to clean and if your sun room leads to the outdoors all you need is a simple sweep of a broom. There are some fabulous tiles available today, my favourite at the moment are the realistic wood planking. Other options are vinyl planking, veneer or solid wood, although veneer woods are not usually suitable for areas that could get wet. I advise that if you are looking at wood veneers, you check they are low VOC as they usually have a high content of formaldehyde, the same can be of engineered woods so do your homework first if you are going down that track. Above: Natural timber floors work well in this space and the rattan furniture give it a relaxed look. Pattern and colour has been introduced by way of decorative cushions - This sun room has been added onto the existing house, you can view more images of this home by Roam Design.... here. 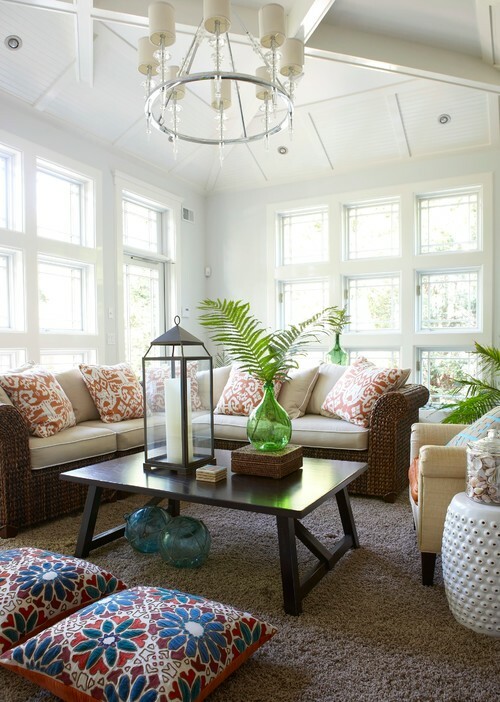 I personally prefer light, neutral tones in a sun room adding pops of colour with soft furnishing such as cushions. 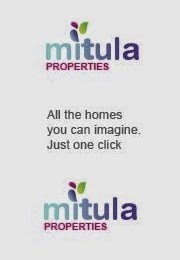 You could, however, use a deeper colour on a feature wall. Blue's, greens, white and pale shades of grey can all work in this space. As mentioned, brighter or accent colours can be introduced with textiles in cushions or the upholstery of a chair. 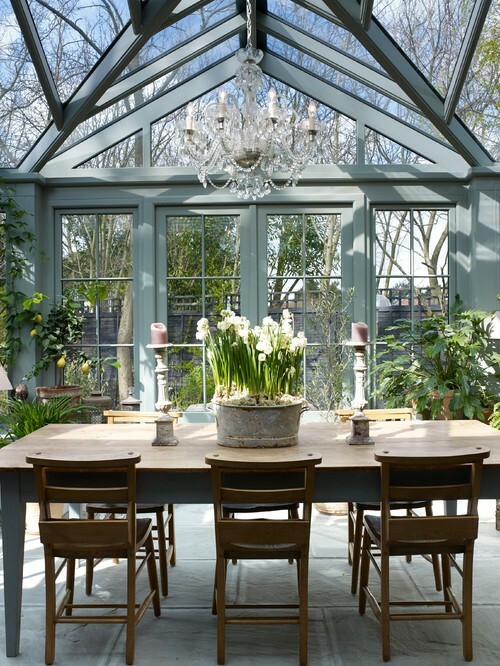 I hope these tips help you to decorate your sun room or conservatory and turn it into your perfect space.